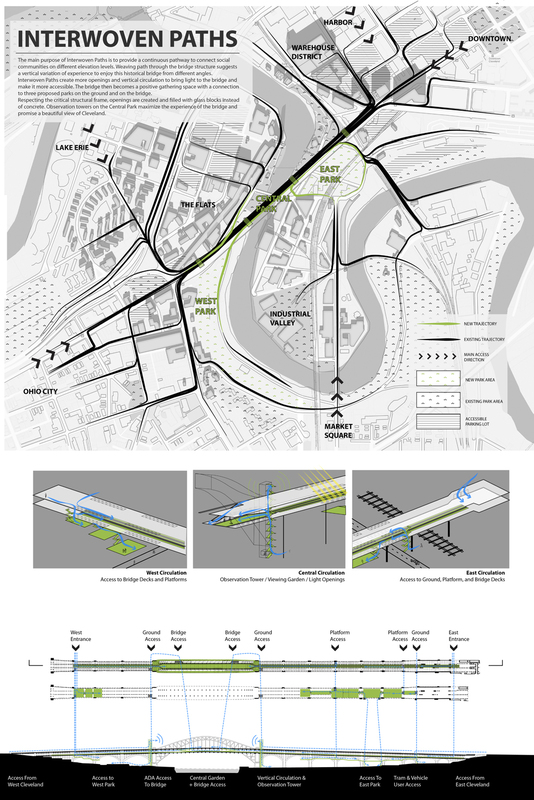 The main purpose of Interwoven Paths is to provide a continuous pathway to connect social communities on different elevation levels. Weaving path through the bridge structure suggests a vertical variation of experience to enjoy this historical bridge from different angles. 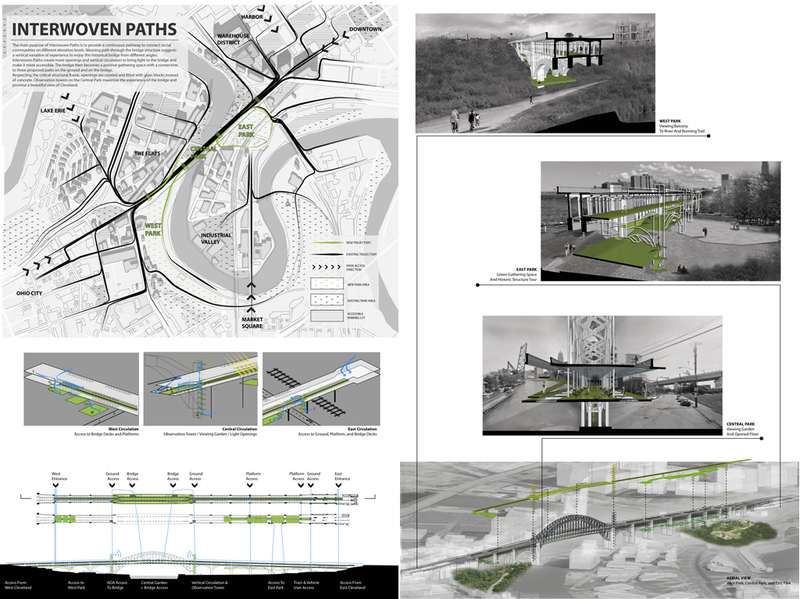 Interwoven Paths create more openings and vertical circulation to bring light to the bridge and make it more accessible. The bridge then becomes a positive gathering space with a connection to three proposed parks on the ground and on the bridge. Respecting the critical structural frame, openings are created and filled with glass blocks instead of concrete. 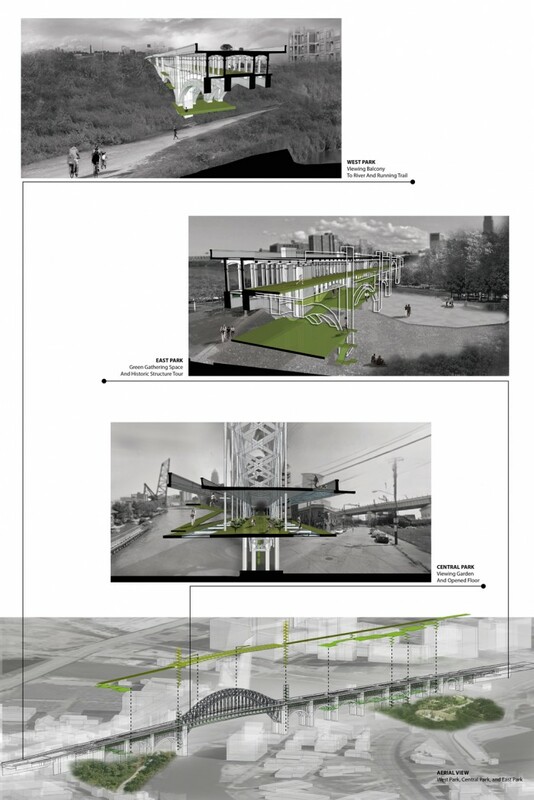 Observation towers on the Central Park maximize the experience of the bridge and promise a beautiful view of Cleveland.